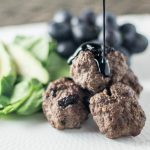 Sour Cherry Elk Meatballs – AIP recipe – Lean elk pairs beautifully with sour cherries & rich balsamic reduction. They smell & taste amazing! Oh! And they are really quick and easy to make! 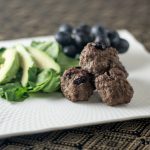 Have you ever had game meat before? The original free-range, grass-fed, ethically raised meat. 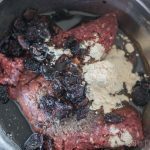 The elk meat you can buy is raised now, but you still get a very low fat and cholesterol, but high protein and nutrient rich meat. 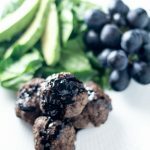 Because it is so low in fat be sure not to overcook these beauties! I would go hunting with my grandfather when he was alive and was no stranger to wild game meat when we were lucky enough to find what we were hunting for. Some people say game meat is an acquired taste, I think it's key to season and cook it correctly! It is Mother's Day this weekend- are you a mother? Have plans to be? I recently underwent surgery to prevent motherhood in the traditional sense. You can read more about it here. Those major life decisions are always difficult. Do you have plans for Mother's Day? My own mother has a routine we play out every year, I call and wish her a happy Mother's Day and she passes the phone to Dad claiming she couldn't have done it without him. I'm planning on that being the case again this year. 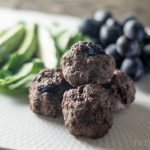 Maybe I'll drop off some of these sour cherry elk meatballs for Mom and Dad to enjoy together. However you spend it, have a great Mothers Day! 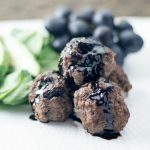 Lean elk pairs beautifully with sour cherries & rich balsamic reduction. They smell & taste amazing! 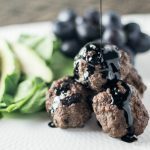 Bring 1 cup of balsamic vinegar to a boil and then reduce and a simmer 20-35 min. 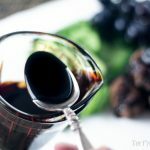 Careful not to burn the balsamic vinegar while reducing, you should have 1/4 cup of reduction. 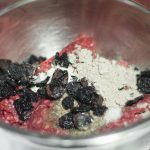 Combine all ingredients mixing well. 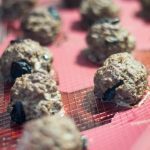 Form into 2 inch balls (they shrink down as they cook, I would make approx 15). Bake in the oven at 350F for 35 minutes (internal temperature of 130-140 F much more and they will be dry because elk is such a lean meat). What about using fresh sour cherries? We have some ripe in the garden, trying to figure out what to do with them. 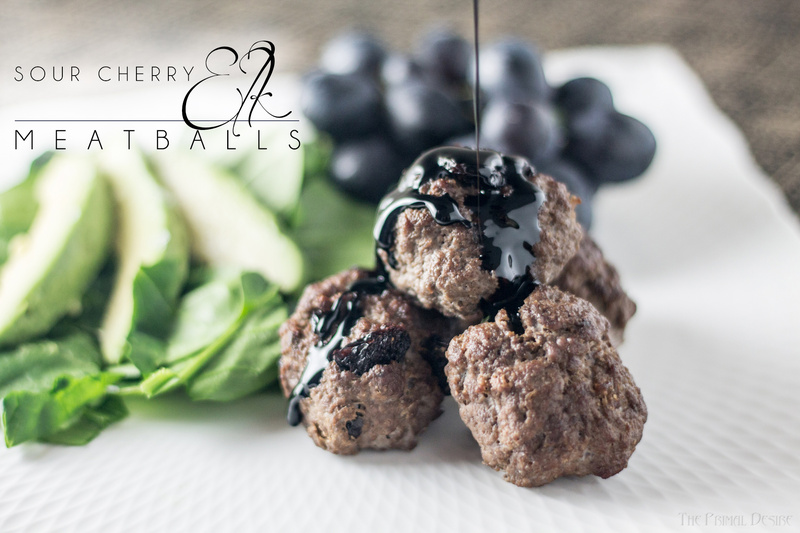 Absolutely, the meatball may be juicier, I would chop and strain the cherries before putting them in there!